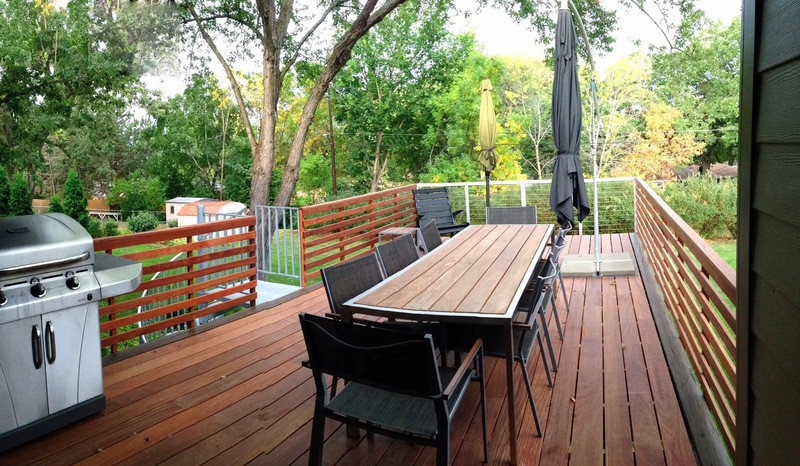 The addition of a high-design deck can greatly improve the aesthetics of the house—especially in the back where many homes lack architectural interest. It also extends a family’s livable space, which makes it great for entertaining and taking advantage of fine weather. 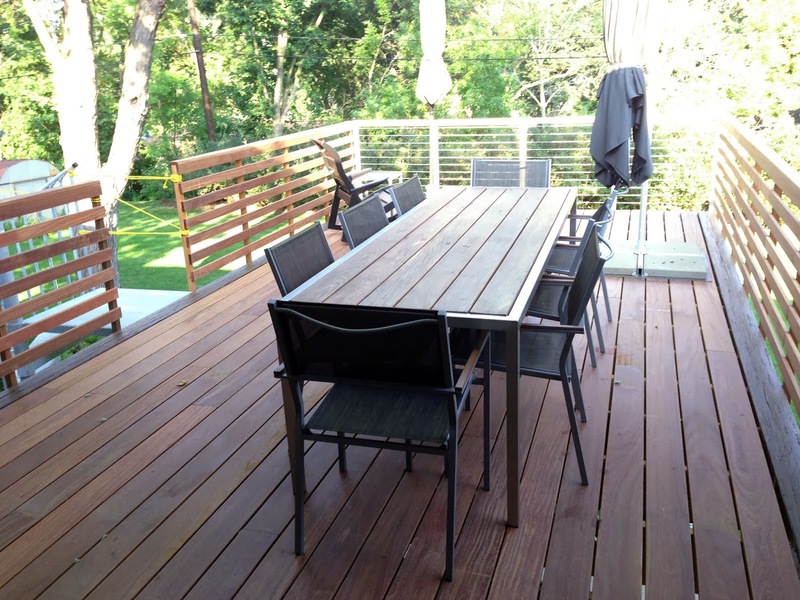 This deck is constructed from Red Cumaru—a sustainable tropical hardwood with great durability and weathering properties. The structure is a mixture of Parallam® beams—a proprietary product made from strands of wood from farmed trees glued together with a resin to render it structurally stronger than standard lumber—and galvanized steel columns and supports, as well as standard treated lumber. The side railings are made from the decking boards, and the end railing is Cable Rail with stainless steel supports. The deck in this project was conceptually designed to be a deck to infinity; the lines leading toward the far end of the deck act to exaggerate the perspective and make it appear longer. The structure was designed to take up minimal vertical space to allow for more light under the deck and more headroom.